Genetics is currently one of the most exciting areas of scientific research and after decades of promise, the science of gene therapy, where ‘bad genes’ are removed or replaced is finally starting to deliver and one of the best examples of this is happening right here in Ireland. TCD’s Prof Jane Farrar has developed a treatment for an inherited form of blindness called Retinitis Pigmentosa in which a genetic mutation leads to damage of the retina and a gradual loss of sight. 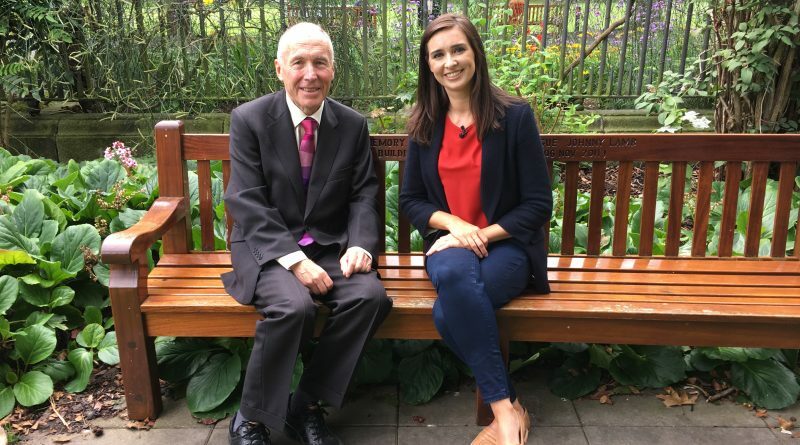 The treatment, which is based on correcting that mutation, will soon provide the first cure for people suffering from this form of sight loss, and Aoibhinn meets Jane to find out about the exciting prospects for Ocular Gene Therapy. Incredibly, this work didn’t begin with scientists in labs – it was initiated 30 years ago by members of the public who suffered from inherited genetic eye conditions and wanted to find out more about the condition. As there was no treatment they raised funds to kick start the ocular science department of Trinity College and Aoibhinn meets Michael Griffith, who was diagnosed with RP in the 1980s and went on to be one of the key drivers of genetic eye research in Trinity and original founders of Fighting Blindness. Working with Fighting Blindness, the Trinity researchers are working with Dr Paul Kenna and taking samples from everyone in Ireland who is known to have an inherited genetic retinal condition to create an extensive DNA Next Generation Genetic Sequencing database. In Athenry, Jonathan meets Noirin McHugh who is working on the Teagasc INZAC Flock project which is comparing genetic differences between Irish and New Zealand sheep. Imported to Ireland in 2014 & 2015, the New Zealand ewes were selected based on their superiority for maternal type traits. By collecting information on lambing, growth, health, feed intake and carcass traits, the primary goal is to increase understanding of genetics, and potentially breed Irish sheep with NZ sheep (which is currently being trialed on selected Irish farms) to improve the yield and general practice. Could the woolly All Blacks reveal genetic secrets that could help Irish farmers? 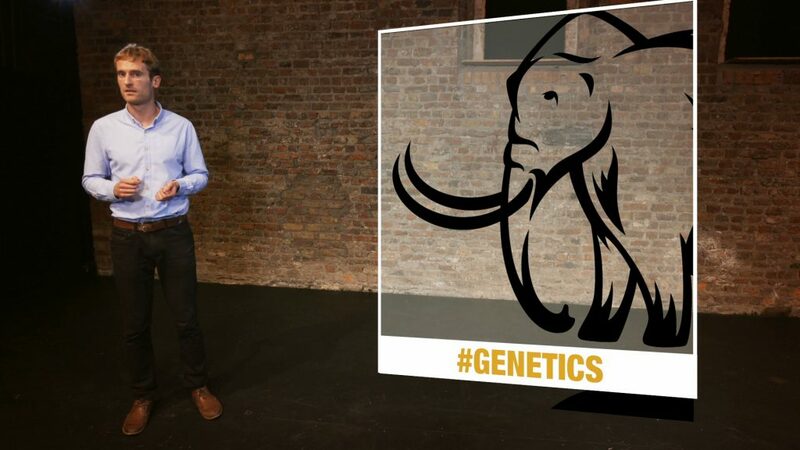 In Weird Science, Fergus asks if advances in gene editing could enable the return of a prehistoric animal from extinction in the form of a ‘Mammophant’?! And what would happen if you could change the function of a gene, take away the gene completely, or make the gene more active? Though not without controversy, Gene Editing is an incredibly exciting prospect in the world of molecular biology with CRISPR emerging as a hugely powerful technology that’s being used to explore gene function and genome editing in animals and in plants. Agricultural science has been the first field to benefit from the technology and we meet the plant researchers who are investigating the use of ‘biological scissors’ to achieve the same outcome as we can get from traditional breeding, just faster. We meet RCSI’s Dr Siobhán O’Sullivan to discuss the ethical challenges that must be considered alongside with any genetic advances. Barley is the fourth largest cereal crop after maize, rice and wheat with 132 million tonnes produced annually. For thousands of years, barley has contained disease resistant genes that are hugely important in terms of successful harvests, but 2017 has been a particularly bad year for the crop, so could gene editing benefit Irish farmers? Recently, we’ve discovered that these resistance genes (r-genes) have become susceptible genes (s-genes) and the plants are far more likely to become diseased. However scientists have discovered that by simply turning off these genes, they can turn those s-genes back into r-genes, effectively resetting their natural resistance and protecting the plants from disease, potentially for a further thousand years! Kathriona meets Teagasc crop researcher Ewen Mullins who reveals how genetic disease in our barley and potato crops could be targeted with this ‘biological scissor’ technology in the future. Check it out on RTE One, 8.30pm, Monday 11th December!